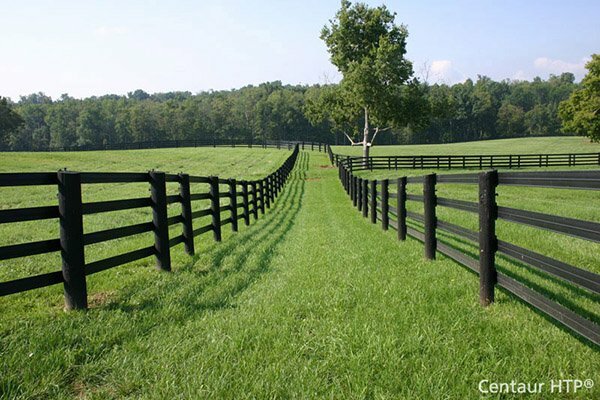 Jewett-Cameron Perimeter Patrol Panels | Hoover Fence Co. Temporary Fence Panels & Barricades - High visibility panels are perfect for job site security, crowd control, asset protection, outdoor festivals and events. Panels can be purchased individually, along with the necessary accessories such as panel clamps and ground bases. However, the best way to purchase Perimeter Patrol Security Fence is to buy the full pallet packages. The pallet package includes 28 panels with all needed clamps, bases AND a steel pallet with basket to hold the accessories. The packaged pallet holds all the components securely and can be lifted with a forklift from any side making it a one person job loading and unloading enough panels to cover 210 linear feet. Panels and clamps are available in black or high visibility yellow. The other accessories including bases, anchors, swing wheels, and empty replacement pallets are available in yellow only. All components have a two step powder coated finish ensuring a long life for the panels and accessories. Panels are 7-1/2 ft. long and 6 ft. high. Hardware basket holds all the necessary installation components and accessories. Total pallet weight loaded: 1,775 lbs. Great every day low pallet price makes this barricade system practical and economical.